← What can Non-Medical Home Care Do for your Family? 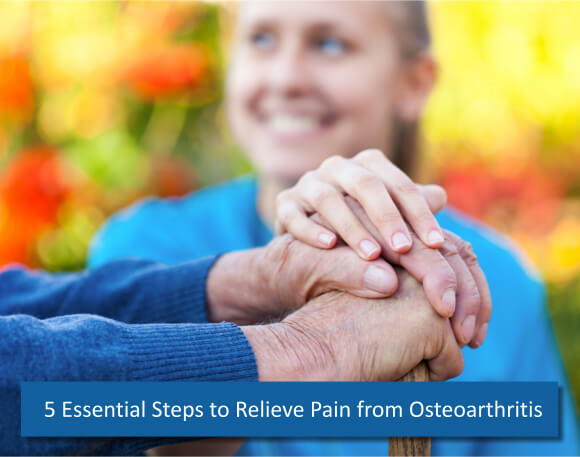 Osteoarthritis is one of the most common diseases among seniors. It is a “wear and tear” chronic condition of the joints. The pain that goes along with it is due to the decline of the cartilage in between bones. The friction of the bones leads to pain, stiffness and swelling pain. Osteoarthritis may have no specific cause but it is usually led by several facts like overweight, overuse or injury and hereditary factors. You are what you eat. If you want to live longer and make more memories with your loved ones, you can do your part by eating healthy food. Eating the healthy kind means that you need to stay away from the “instant” and the “preservatives”, the “canned” and the “modified”. You have to stick with the “organic” and “fresh”. Eating fish at least twice a week will give your heart the proper shield. It contains a lot of Omega-3 that help the heart to pump the blood on a regular pace reducing the risk of high/low blood pressure. You can ask your non-medical home care in Opitz Boulevard Woodbridge VA to help plan and prepare the meals for your loved ones. Nothing beats the right amount of sleep for you. Nothing beats a good 6-8 hours of sleep. Although aging affects our sleeping cycles and routines, it is still mind over matter. You still have to strive hard and harder to achieve that goal. It is best that you exhaust (not too much) yourself during the day so that your sleep would be less of a choice to make. Get a lot of exercise every day to keep your heart and mind pumped up. Especially for the aging body, it is hard to get them going every day. Consider recreational activities and healthy sports today! Check your weight regularly. This will keep you in touch with how you are managing with your health too. If you have too much weight, then lose some. Your weight tells you what foods keep increasing your weight and what foods you need to take to stabilize to the right weight you need. Inquire and discuss the right recreational activities for your loved ones with your non-medical home care in Opitz Boulevard Woodbridge VA. Try splints, braces, hot/cold packs and other aids. They can help you relieve the pain temporarily on the aching area. Talk to your doctor on which medical equipment is right to support you as well as the supplements and complementary medicine that can help relieve the pain.